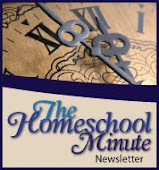 The Faithful Homeschool: Tempus Fugit... Carpe Diem! Have I mentioned how much I love using the local bus since we got rid of our car? Well, call me crazy, but I do LOVE it! I grew up outside of Chicago. We always had a car and I never road the public bus, only school buses! It wasn't until I was 19 and living outside of Spokane, Washington that I finally road a bus.... once! 'Big' town Montana is more like small town Illinois... even smaller... and the bus here is unlike anything I have ever seen before. Imagine a big city bus shrunk to half size! And after a certain time of day they switch to a shuttle bus with seats lining the perimeter instead of one behind another. It feels less like public transportation and more like hanging out in a doctors office waiting room, wondering who will get called next to pass through the door and silently laughing to yourself at some of the crazy conversation you find yourself privy too! Yes, I love it. I love seeing different people, talking with them, and truly being IN the community. Today we borrowed a car and ran some big errands. The last leg of our trip parked us at the library just as the bus was coming. I was as bad as my kids, waving at the bus driver whom I look at more like a friend now that I have spent some time passing through the bus door! I wished I could climb aboard and hang out! Notice it is a little rough around the edges. Compliments of my thirsty son! Whenever I walk I carry a water bottle with me. He borrowed a gulp and inserted the bottle back into my shoulder bag containing the magazine, the lid wasn't tightly on! The magazine recovered and thankfully I was still able to read it cover to cover. Which brings up the first wonderful feature of this product: SIZE! Eternal Encouragement use to be published as a regular sized magazine. This new 9x6 size fit perfectly in both my purse and my shoulder bag. It was comfortable to hold no matter where I was sitting... like reading a booklet and unlike bigger, awkward, flimsy magazines. LOVE it just as much as I love riding the bus! It was also much quicker and easier to tuck back into my bag when we reached the bus stops... not the huge production bigger material is to re-tuck away! The next really neat feature was how beautiful the new title is. The former title, "TEACH", is beautifully simple behind the elegant new title "Eternal Encouragement". The third feature of Eternal Encouragement's quarterly magazines that I absolutely love are the Themes. Unlike most magazines, Eternal Encouragement has a theme for each issue by which all articles are measured and included. This issue's theme was "Time Flies" and I certainly felt I was living up to the content: being ultra efficient by reading in the little nuggets of time I had. Like all of Lorrie's products, I found myself inspired and encouraged to be better, do better, and think better. The old adage, Tempus Fugit (Time Flies) was well addressed with a multitude of material reminding me of the importance of Carpe Diem... to "Seize the day"! I never regret the time I spend in material provided by Lorrie Flem and Eternal Encouragement. You won't either! To subscribe and receive quarterly issues of Eternal Encouragement magazine or to view more products from Lorrie and her lovely company, visit her website, www.eternalencouragement.com. 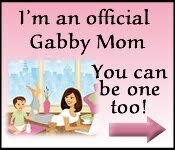 To read more reviews of this product check out The Gabby Moms! "I received this product for honest review from Eternal Encouragement Magazine as a part of The Gabby Moms blogging program. All opinions expressed are solely my own." 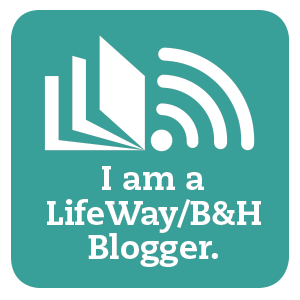 I really enjoyed your review, and I like the looks and layout of your blog also! Very nice! By the way, my husband and I met at college in Chicago. He grew up in a small town about an hour southwest of the city. Thanks guys! Yes, the magazine and I had some interesting adventures! What a nice touch - your pictures in the bus. This is a nice review. Thank you Michelle :-) God Bless! I've never road "public transportation" except at Disney. Does that count? I think it would be heavenly not having to worry about driving. Great review! Thanks for sharing! Carie, I think Disney transport is a start! Even with a car you can give it a try. With the price of gas it couldn't hurt to park and ride if you feel so lead :-) Bring Eternal Encouragement with you too and don't forget to shine your light!! Love going on the bus ride with you! You made me think about how I often tell my daugher, "Tempus Fugit, baby!" Thank you and you are more than welcome! Carpi Diem!